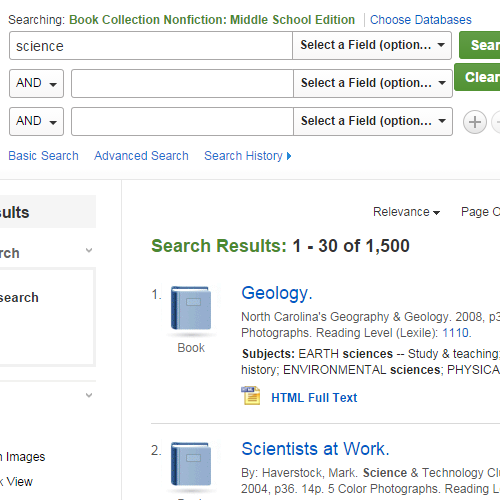 Book Collection Nonfiction: Middle School Edition is a rich research database for school and public libraries. 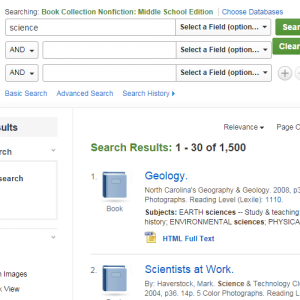 It contains informative abstracts and searchable full text for more than 3,100 popular nonfiction books. The database includes high interest titles on careers, health, ethnicity, disabilities, technology, biographies, history, science, women, civics and more.